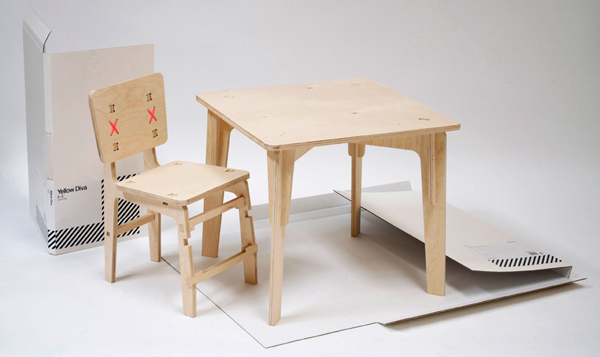 Melbourne-based furniture design crew Yellow Diva takes the meaning of flat pack to a new level. Click through to discover more. Cut from plywood sheet, the simple and contemporary Yellow Diva 2-3 Junior range is so meticulously designed that there is very little wastage left on the sheet, making them a great eco-friendly furniture option. 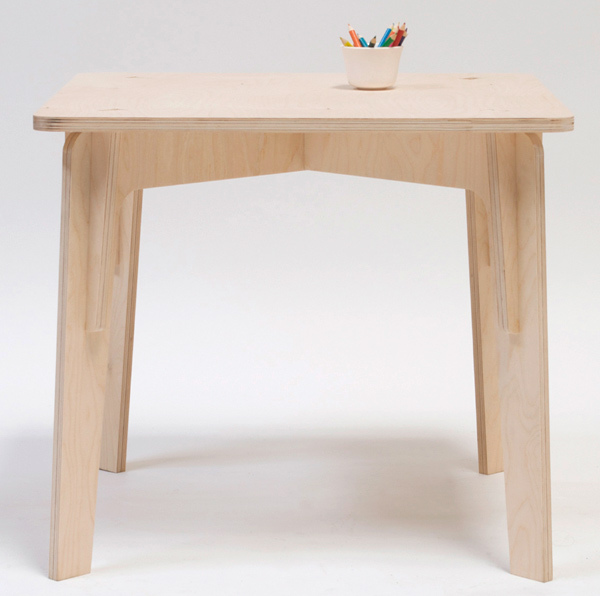 The 2-3 Junior table slots together easily, as does each chair. A pair of cable ties are added to the chairs for a finishing touch and a pop of coloured interest. There’s no need for tools or even glue and the furniture is flat packed for easy shipping or transporting from shop to your door. Child-sized, these 2-3 Junior chairs and table are probably best left to the same age category as their namesake. The Yellow Diva 2-3 Junior Chair retails at $185 each, the Yellow Diva 2-3 Junior Table at $295 or you can buy a set that includes two Yellow Diva 2-3 Junior chairs + Junior Table for $545, all available from Top 3 By Design.